Drag Track/Via operation shoves vias and tracks in independence from Options of Interactive Routing. 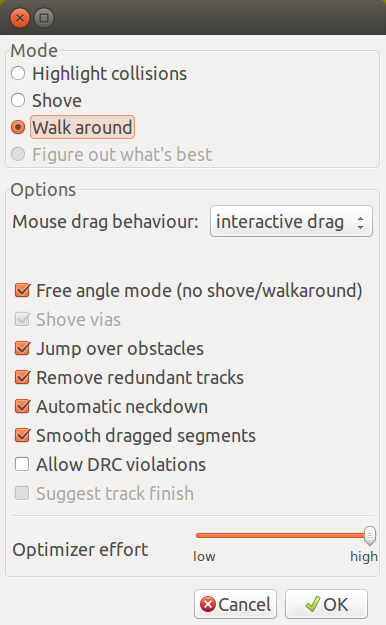 Currently the drag trace tool supports only shove and highlight collisions modes. If the router is set to walk around, the drag trace tool will fall back to shove mode.